4PM SATURDAY, MAY 17 TEEN EVENT | BLINK TOUR | Lorie Ann Grover: Firstborn | Jill Williamson: Outcasts | Jonathan Friesen: Aquifier | Lisa T. Bergren: Remnants The Blink Tour features four teen authors, who will be presenting their latest dystopian themed YA novels. In Lorie Ann Grover's new YA novel Firstborn, Tiadone has been forced to live her entire life as a female accepted as male in her community in order to survive as a Firstborn child. But when she needs to pass the rites of manhood, she finds the Creator may have use for her feminine traits after all. Joining them is Jonathan Friesen, with his new teen novel Aquifer. In the year 2250, a ruling class controls the entire world by controlling the only source of hydration, buried deep underground---and they also control the flow of knowledge. While the Wise Ones can monitor the Topper world above and the 'Water Rat' mines below, there's one boy they can't watch, and he has the passion and knowledge to find a crucial prophecy and potentially change the world. In Remnants the first book of bestselling author Lisa T. Bergren's new YA futuristic dystopian series, a group called the Remnant begins their mission to course-correct humanity, one person at a time. But as soon as they begin to move, so do their enemies, placing the entire world in peril. ABOUT THE AUTHORS Lorie Ann Grover attended the University of Miami. After school she lived with her husband, David, in South Korea, where she spent most of her time painting and writing poetry. The Grovers have two daughters, Emily and Ellen, and live in Sumner, Washington. Jonathan Friesen is an author, speaker, and youth writing coach from Mora, Minnesota. His first young adult novel, Jerk, California, received the ALA Schneider Award. When he's not writing, speaking at schools, or teaching, Jonathan loves to travel and hang out with his wife and three kids. 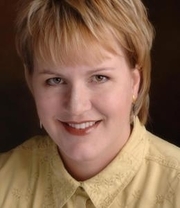 LISA T. BERGREN is the author of over forty books, with a combined count of over two million copies sold. She is a writer and editor residing in Colorado Springs, CO, with her husband and three children. Lisa Tawn Bergren's book God Gave Us Easter was available from LibraryThing Early Reviewers. Lisa Tawn Bergren's book God Gave Us Love [board book] was available from LibraryThing Early Reviewers. Lisa Tawn Bergren's book Mercy Come Morning was available from LibraryThing Early Reviewers. Lisa Tawn Bergren's book God Gave Us You Board Book was available from LibraryThing Early Reviewers. Lisa Tawn Bergren's book God Gave Us the World was available from LibraryThing Early Reviewers. Lisa Tawn Bergren's book Keturah was available from LibraryThing Member Giveaway. Lisa Tawn Bergren is currently considered a "single author." If one or more works are by a distinct, homonymous authors, go ahead and split the author. Lisa Tawn Bergren is composed of 6 names. You can examine and separate out names.